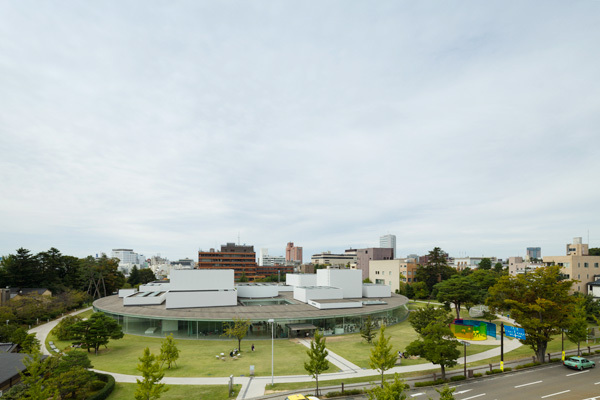 21st Century Museum of Contemporary Art, Kanazawa has been established with the mission of generating new culture and revitalizing its community. Innovative city planning has become intensely important to our society, which faces a historical turning point in the 21st century. 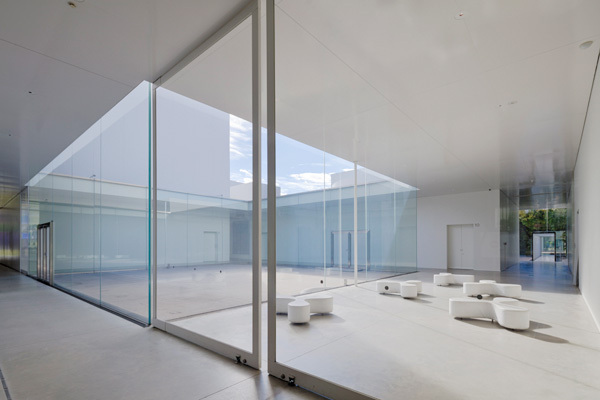 Through a spirit of cooperation, 21st Century Museum of Contemporary Art, Kanazawa will seek to awaken Kanazawa’s creative energy and become a compelling regional cultural attraction. 1. To be a museum that moves in step with contemporary society. 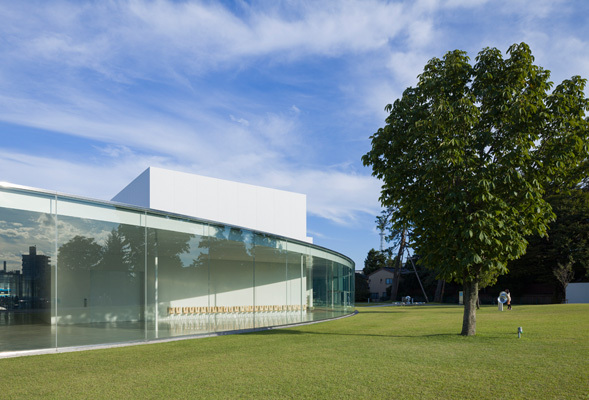 21st Century Museum of Contemporary Art, Kanazawa will allow visitors to experience and enjoy the world’s foremost contemporary art. The richly diverse art of our times cuts across genres and transcends barriers of time and space. By providing experiences of such art, the Museum will perform as a bridge between the region and the art of the future. 2. To create a participation-oriented museum along with citizens and revitalize the community. We hope that 21st Century Museum of Contemporary Art, Kanazawa will serve as a new “town square” for the city, where people can freely partake in education, creation, entertainment, and communication. Through its cooperative engagement with people and industries, the Museum will endeavor to explore and generate completely new activities as an art museum. 3. To be an art museum open to the world, where regional traditional arts connect with the future. 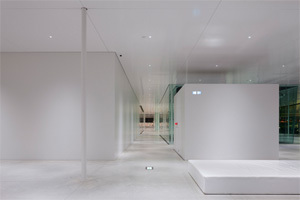 The Museum will perform as a laboratory for exploring, from an inter-cultural perspective, ways of ensuring the viability of Kanazawa’s distinctive cultural traditions, dating from feudal times, amid the diversifying values of the 21st century. 4. To grow in spirit along with children. The museum will serve as an open classroom, providing the optimal environment for children to see, touch, and experience art. As children grow, so will the Museum grow and continue to evolve for generations to come. 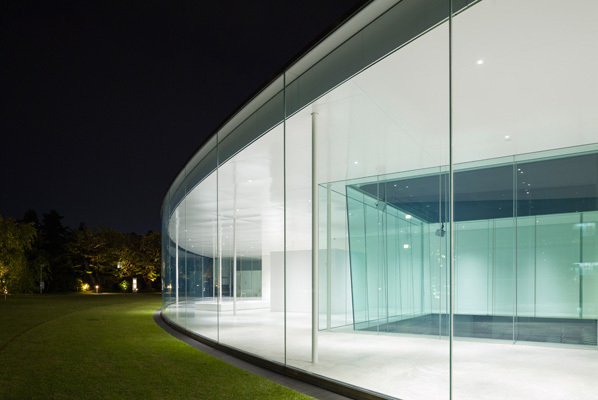 "Museum open to the city like a park"
21st Century Museum of Contemporary Art, Kanazawa is situated in the center of Kanazawa city. Anybody can drop in whenever they want. The Museum is designed as a park where people can gather and meet with one another. The glass-made circle results in an ambiguous spatial definition. a kind of reversible membrane, through which visitors can sense each other's presence. 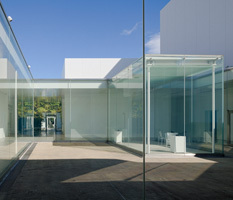 The museum pays careful attention to its openness and brightness from the courtyards with sky-lights. The Museum, in order to meet various needs of visitors, has also a shop and restaurant open to the night. The aim of the Museum is "casualness", "enjoyment", and "accessibility". The most visible characterisic of this Museum is its unusual form. The site, surrounded by three streets, is accessible from multiple directions, which led to the actual plan of circularity. Anyone can enter the Museum through any entrance which helps to facilitate easy access and a sense of closeness between the building and the city. 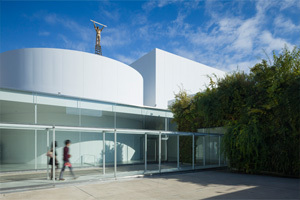 Exhibition rooms, restaurant, and art library are located in a horizontal place, so that the Museum looks spread out as if the visitors were in downtown area. The natural flow of the Museum enables visitors easily to view each area. 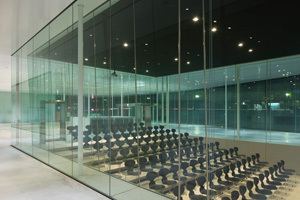 The use of glass walls, inside and out, produces transparency and brightness. 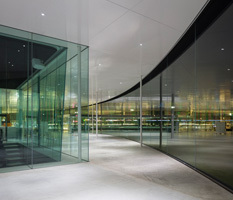 It also enhances a sense of encounter, an awareness of each other's presence, and unity among the visitors, whether they are at inside or outside of the building. In 1995, Kazuyo Sejima (born in 1956) and Ryue Nishizawa (born in 1966) founded SANAA, the Tokyo architecture studio that has designed innovative buildings in Japan and around the world. 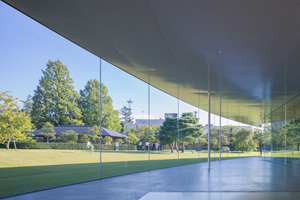 Examples of their groundbreaking work include, among others, the Rolex Learning Center in Lausanne, Switzerland; the Toledo Museum of Art's Glass Pavilion in Toledo, Ohio; the New Museum of Contemporary Art in New York, NY: the Serpentine Pavilion in London; the Christian Dior Building in Omotesando in Tokyo; and the 21st Century Museum of Contemporary Art in Kanazawa. The latter won the Golden Lion in 2004 for the most significant work in the Ninth International Architecture Exhibition of the Venice Biennale. Other records of winning awards are the Arnold Brunner Memorial Medal of the American Academy of Arts and Letters in 2002, a design prize from the Architectural Institute of Japan in 2006, the Kunstpreis Berlin of 2007 from the Berlin Academy of Arts, and the 2010 Pritzker Architecture Prize from the Hyatt Foundation. In addition, they have presented their work throughout the United States and Europe in exhibitions and as visiting lecturers at numerous prestigious universities. 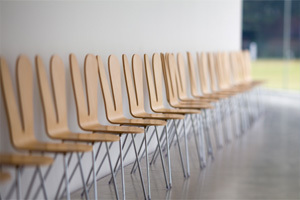 Tokyo National University of Fine Arts and Design Graduated in 1979, the MFA in 1981, through the Dentsu Inc., Taku Satoh Design Office founded in 1984. I deal with symbols, such as the National Science Museum package design "Lotte xylitol gum" and "delicious milk Meiji", graphic design of "PLEATS PLEASE ISSEY MIYAKE", and 21st Century Museum of Contemporary Art, Kanazawa. In addition, over a variety of activities Art Director "Dezaina" comprehensive guidance and planning members NHK E tele "Nihongo de Asobo", etc. He is also director of 21_21 DESIGN SIGHT.